A welcome visit from the in-laws provided me with ample opportunity to indulge in my much-forgotten past-time: BAKING. While they took Sophia for a mid-afternoon walk/nap, I jumped into action trying a new banana cake recipe with cream cheese frosting. 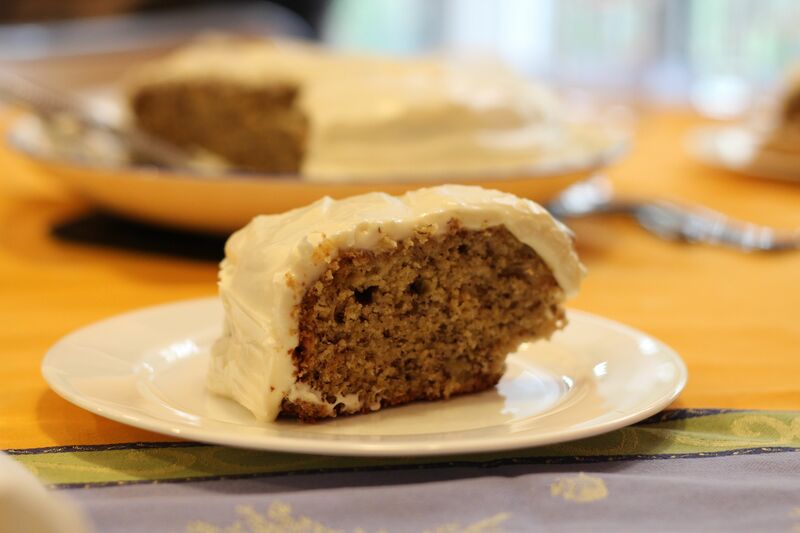 I have made plenty of banana breads in my life, but it is simply too hard to pass up an opportunity to make cream cheese frosting! As imagined and expected, the result was moist, decadent and just absolutely devine without being cloyingly sweet and too rich like many of our usual go-to chocolate concoctions often are. The zest really added a lot. Share yours, please. I would love to try it!